LONDON, 20 September 2018 – The Commercial Court has upheld the claims of the English subsidiary of China Molybdenum Company (CMOC) against 28 identified individuals and companies and against “Persons Unknown” for the recovery of money stolen from CMOC through online fraud. The Court has ordered the repayment of stolen money, awarded damages of approximately £7 million and awarded legal costs on the indemnity basis. The judgment by His Honour Judge Waksman QC has also made it possible for CMOC to recover stolen sums which were traced into the hands of numerous third parties through whom the fraudsters had attempted to launder CMOC’s money. CMOC was advised by a team from specialist dispute resolution law firm Cooke, Young & Keidan LLP (CYK), and by counsel from 20 Essex Street and 3 Verulam Buildings. There were a number of ground-breaking aspects to the case, including the first reported worldwide freezing injunction over the assets of “Persons Unknown” who committed a large-scale, international financial fraud via the internet. The freezing injunction is the first reported one of its kind to be granted in England & Wales against alleged perpetrators who had not been identified. Other innovative features proposed by CYK and the Counsel team, and accepted by the Court, included the service of documents by 21st century means, namely by an encrypted online data room, and by the social media applications Facebook and WhatsApp. CMOC was also granted ground-breaking wide-ranging permission by the Commercial Court to enforce its freezing and disclosure orders globally, on terms. The injunction and ancillary disclosure orders granted earlier in the year required 35 international and overseas banks in at least 19 jurisdictions to freeze the assets of the fraudsters and the stolen funds, and to reveal the identity of the alleged fraudsters and the details of any onward transfers. CYK then used the details disclosed by banks to trace the stolen funds around the world and to identify the perpetrators, and recipients of the funds. The next stage in the case will be to enforce the judgement in various jurisdictions in Europe and further afield, as well as to undertake further investigation into the individuals involved. This has already led to criminal prosecutions in certain cases. “We are delighted that our client has achieved a successful outcome with the publication of the judgment. Online crime of this kind is becoming increasingly common and it is not always easy to identify the perpetrators in order to serve an injunction upon them and to take effective steps to recover assets. 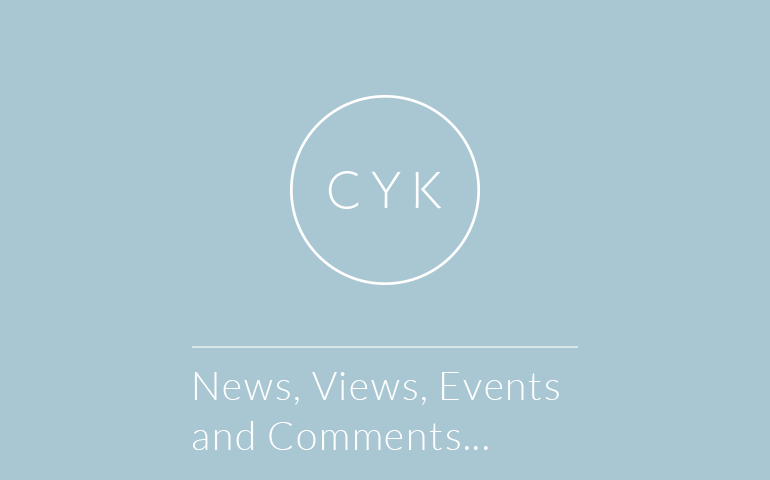 The team at CYK included Philip Young, Daniel Burbeary, Sam Roberts, Rosie Wild, Peter Stewart, Andrew Flynn, Simon Robinson and Tom Burton-Wills. The Counsel team was led by Paul Lowenstein QC together with Philip Riches and Matthew McGhee (all of 20 Essex Street) and Philip Hinks (of 3 Verulam Buildings). “This litigation demonstrates the willingness of the London Commercial Court to work with the victim of a novel form of cyber-fraud to provide effective and flexible remedies that allowed much of the stolen money to be rapidly frozen around the world, information regarding its whereabouts to be ordered from banks in many overseas jurisdictions and for a trial to be held within 9 months of the start of the action”. • RBS v. Highland: This was a long-running and aggressively-fought multi-jurisdictional litigation involving substantial sums. CYK acted for Highland which by the conclusion of the action was entirely successful in uncovering the substantial fraud perpetrated (and then concealed) by RBS, in defeating RBS’s claims and in establishing its own claims against RBS. In the process of this litigation English legal history was made as the Court of Appeal judgment handed down in April 2013 is the first time that the English Court has ever struck down a judgment obtained by a British bank on the basis that it had been obtained by that bank’s fraud. • Graiseley v. Barclays. This was the leading and “test case” before the English Courts in respect of dishonest LIBOR manipulation as it was the first case in which that charge has been alleged against a major bank. In addition to litigation of this kind, the firm also has substantial expertise in international arbitration, partnership and LLP disputes, corporate and shareholder disputes, financial regulation, and fraud and asset recovery. Clients include major corporates, multinationals, fintech companies, financial brokers, hedge funds and asset managers, aerospace and shipping businesses, and wealthy entrepreneurs. 20 Essex Street is a leading international commercial set of barristers’ chambers. Its members advise and act as advocates in relation to all types of commercial disputes and have particular expertise in disputes with an international dimension. Our barristers are hugely experienced in representing overseas and large corporate and law firm clients, advising on complex, high value and multi-forum litigation. Core areas of work include arbitration, banking and financial services, international trade and commodities, energy and natural resources, insurance and reinsurance, shipping, public and private international law, competition and trade regulation, insolvency, professional negligence and civil fraud.